Every Tuesday, I review the newest Blu-ray releases and let you know whether they’re worth buying, renting or skipping, along with a breakdown of the included extras. If you see something you like, click on the cover art to purchase the Blu-ray from Amazon, and be sure to share each week’s column on social media with your friends. WHAT: When the people of Alexandria are forced to deal with a number of dangerous threats from both the living and the dead, Rick Grimes (Andrew Lincoln) gains the trust of his new community by transforming its residents into survivors. But not everyone agrees with Rick’s shoot-first approach to diplomacy, particularly the newly passive Morgan (Lennie James). 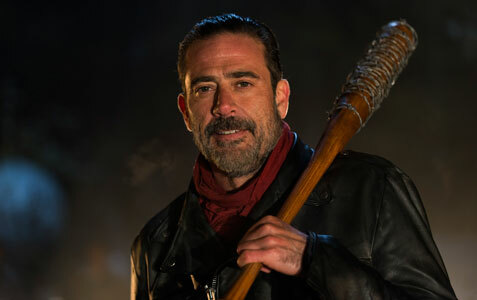 WHY: A lot of the attention surrounding the sixth season of “The Walking Dead” focused on the arrival of fan favorite villain Negan, a character who doesn’t even appear until the closing minutes of the finale and caused just as much backlash as excitement. But whether or not you’re happy with the way Season Six ended, there’s so much great stuff in the lead up to the inevitable faceoff with Negan (a fantastic Jeffrey Dean Morgan) that it’s easily one of the best seasons to date. 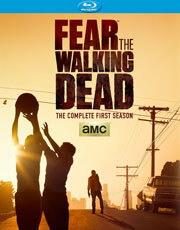 Glen Mazzara continues to prove why he’s the perfect showrunner for this series, because as a fan of Robert Kirkman’s original comic, he’s able to deliver all the classic moments (the zombie invasion of Alexandria, Carl getting shot in the face, Negan’s thrilling introduction) without feeling slavish to the source material. Not every episode is a resounding success, but even those that caused controversy with their frustrating storytelling tactics (namely “Thank You” and “Last Day on Earth”) exude excellence in one way or another, and it’s for that reason why “The Walking Dead” remains among the best shows on TV. EXTRAS: In addition to cast and crew audio commentaries on seven episodes, there’s an extended cut of the season finale (including an alternate, expletive-filled version of the Negan speech), five behind-the-scenes featurettes, deleted scenes and more. SPOILER ALERT: If you haven’t seen the Season 6 finale of “The Walking Dead,” you may want to stop here! For the most part, I stay away from discussions of “The Walking Dead” that focus on the original graphic novel and reveal potential plot developments. I prefer to just watch the shows and enjoy the developments as they unfold. There were plenty of rumors online about Negan unleashing Lucille to kill off one of the main characters in brutal fashion, and the finale didn’t disappoint on that front. The chilling ending was brilliant in many ways, as the smirking and obnoxious Negan relished the opportunity to subjugate Rick and his group. With Rick and his closest friends lined up on their knees, Negan toyed with them as he explained how they would need to obey his “new world order,” while one of them would have to die as punishment for their actions. We saw the stunning killing from the point of view of the victim as Lucille came crashing down on the victim’s head. In a show that consistently delivers graphic killing scenes, this ranks as one of the most horrifying and memorable. But any reaction to the brilliance of the scene was quickly replaced by frustration as it became clear that the identity of the victim wouldn’t be revealed until next season. I can see both sides of this, though I’m disappointed the writers decided to take the easy route and turn this into a season-ending cliffhanger. But like the annoying episode that falsely implied Glenn’s death when he fell off the dumpster, I’m willing to live with these quibbles in the context of a compelling storyline. It’s another clean sweep for cable and streaming outlets for our annual list of the best shows on television. Netflix alone has four shows on our list, despite “House of Cards” dropping off. With so many outlets battling to create original content, the old TV networks just can’t compete when it comes to producing the best of the best. Fortunately, in today’s world, if you’ve been missing out on some of the best shows, you can always find a way to binge watch and catch up. After the gruesome confrontation with the Terminus cannibals, Rick and the gang were tired and ragged without an obvious destination, so the introduction of the Alexandria safe zone offered an interesting twist to the story. Here the group suddenly found some much-needed normalcy in terms of their surroundings, while it was just a matter of time before the awkward interaction between Rick’s battle-tested crew and the clueless and sheltered inhabitants of Alexandria would lead to real conflicts. This year offered some interesting character developments as they got a much-needed though temporary reprieve from the daily battles with the walkers. “The Walking Dead” seems to get more interesting each year as the writers explore how humans deal with a post-apocalyptic world both on an individual and tribal level, so it remains our choice as the best show on television for 2015. WHAT: When a mysterious outbreak causes Los Angeles to go into complete meltdown, a dysfunctional blended family led by high school guidance counselor Madison (Kim Dickens) and her boyfriend Travis (Cliff Curtis) is forced to band together in order to survive the chaos. WHY: Why: It’s easy to understand why AMC would be attracted to the idea of producing a companion series to “The Walking Dead” (after all, it’s the most-watched show in cable TV history), but there was always the risk that it would have an adverse effect on their flagship drama. Thankfully, the poorly titled “Fear the Walking Dead” distances itself enough from the original series that it doesn’t tarnish the brand, even if the new show pales in comparison. Not only is the writing heavy-handed, but the characters and their various relationships just aren’t as interesting. Though it makes sense that Madison and Co. wouldn’t be as savvy as anyone on “The Walking Dead” due to the story taking place during the early stages of the zombie outbreak, the characters come across as being especially whiny and foolish. Additionally, although the first season only contains six episodes, it’s a very slow burn that doesn’t hit its stride until the penultimate hour. If there’s any reason to stick around, it’s for Kim Dickens and Cliff Curtis, both of whom are such good actors that they manage to hold your interest even when you’ve given up hope that the show will improve. But while Season Two promises bigger and better things, whether anyone will still be watching is another matter entirely. EXTRAS: There are two brief featurettes about the series and the characters. WHAT: Down-on-his-luck gambling addict Gerry (Ben Mendelsohn) owes everybody in town, and instead of paying off his debts, he continues to dig himself further into a hole. But his fortune begins to change when he meets a charismatic drifter named Curtis (Ryan Reynolds), who agrees to accompany Gerry on a road trip down the Mississippi River to play in a high stakes poker game in New Orleans. WHY: After making a splash with the emotional one-two punch of “Half Nelson” and “Sugar,” writers/directors Ryan Fleck and Anna Boden were unable to replicate that success with their first studio project, the lackluster “It’s Kind of a Funny Story.” It’s been five years since Fleck or Boden did anything of significance, but the duo has bounced back nicely with their latest movie, a character-driven drama that plays like a gritty mash-up of “Rounders” and “Sideways” and is bolstered by a pair of fantastic performances. This is arguably the best that Ryan Reynolds has ever been, showcasing a subtler, more mature side that’s been missing in his previous work, while Ben Mendelsohn proves that he’s not just an amazing character actor, but a viable leading man as well. Both of their characters are deeply flawed, and it’s to their credit (as well as the script, which crackles with wit and heart) that you care about them even when they seem beyond all help. 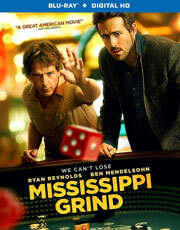 “Mississippi Grind” starts to drag in the final act, exposing its barebones plot in the process, but Reynolds and Mendelsohn have such great chemistry that it’s rarely boring. EXTRAS: There’s a making-of featurette, but that’s all. WHAT: After escaping from Terminus, Rick Grimes and Co. find refuge in a rundown church as they’re hunted by their cannibalistic captives. 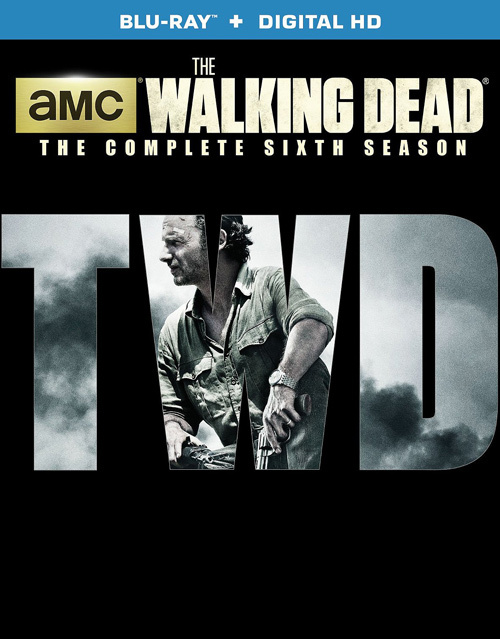 But when Beth (Emily Kinney) is kidnapped amidst all the chaos, and Daryl (Norman Reedus) discovers that she’s being held hostage by another group of survivors in downtown Atlanta, Rick (Andrew Lincoln) assembles a team to rescue her, while the others investigate Eugene’s promise of a cure in Washington, D.C.
WHY: AMC’s habit of splitting each season of “The Walking Dead” into two halves has never been very popular among fans, but it actually worked pretty well with Season Five, because the first eight episodes are jam-packed with so much story that you need a break in between just to process everything. Though the hospital subplot is a completely new creation for the series, the rest of the season covers a lot of familiar ground from its pre-existing source material. Of course, with each new storyline comes plenty of new characters, and the show does a remarkably good job of juggling its large cast to keep everyone happy. 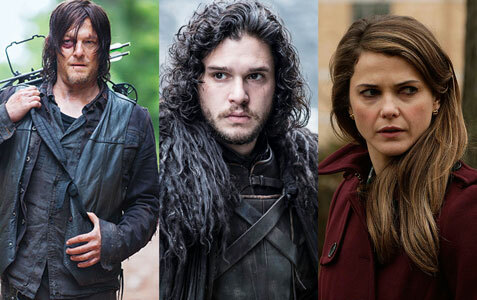 The show’s most popular characters – Andrew Lincoln’s Rick, Norman Reedus’ Daryl and Melissa McBride’s Carol – are front and center as expected, and each actor delivers excellent work, but Emily Kinney (who gets perhaps the best sendoff arc yet) and newcomers Tovah Feldshuh and Ross Marquand also shine in supporting roles. Veteran cast members like Lauren Cohen are shoved to the sidelines as a result, but that’s all part of being on a show like “The Walking Dead,” which is just as much an ensemble piece as “Game of Thrones.” Though Season Five isn’t without its flaws (the handling of fan favorite Tyrese is especially poor), thanks to some great writing and interesting new dynamics among the core group, it’s easily one of the best, if not the best, seasons to date. 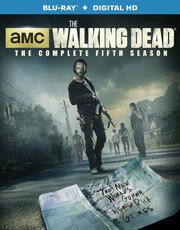 EXTRAS: In addition to cast and crew audio commentaries on six episodes, there are “Inside ‘The Walking Dead’” and “The Making of ‘The Walking Dead’” mini-featurettes for every episode, a behind-the-scenes look at constructing the Alexandria set, a pair of video diaries with actors Michael Cudlitz and Josh McDermitt, deleted scenes and more. WHAT: Military contractor Brian Gilcrest (Bradley Cooper) returns to the site of his greatest career triumphs – Honolulu, Hawaii – to help billionaire communications mogul Carson Welch (Bill Murray) launch his latest satellite into space. Along the way, Brian reconnects with a former love (Rachel McAdams) who may not completely be over him, while falling hard for the spirited Air Force watchdog (Emma Stone) assigned to babysit him during his stay. WHY: Cameron Crowe’s latest film came under a lot of fire following its release in theaters – some deserved and some not so much. Although it’s understandable why people would be upset over the supposed whitewashing casting of Emma Stone as mixed-race jet fighter Alison Ng, the whole point of her overeager character is that she desperately wants to be accepted by the islanders as one of their own (constantly informing people that she’s one-quarter Hawaiian) despite not really looking the part. The fact that so much attention was placed on this controversy is remarkable, because “Aloha” is such a complete disaster that there was plenty of other ammunition to choose from. For starters, the movie is all over the place, polluted with weird subplots that aren’t fully explained, an awkward love triangle that goes nowhere, and characters who are so poorly developed that you still don’t know what their purpose is to the story when it’s over. The cast looks just as confused most of the time, with Stone the only actor who comes away with any sort of dignity intact. “Aloha” isn’t the first time that Crowe has made a bad film, but this is easily his worst and most embarrassing failure yet. 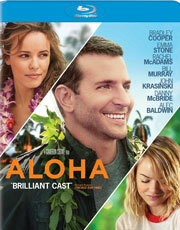 EXTRAS: There’s an audio commentary with writer/director Cameron Crowe, a feature-length making-of documentary titled “The Untitled Hawaii Project,” an alternate opening and ending, four featurettes, a gag reel and some deleted scenes.